Investors of Richard Niemann, a securities broker with UBS in Sugar Land, Texas, may have recourse for unauthorized transactions in their accounts. Please call 1-866-817-0201 to speak to an attorney. From June 2010 through November 2017, while registered through UBS, the Financial Industry Regulatory Authority alleged that Niemann effected approximately 400 discretionary transactions, purchase or sale of stocks without the owner’s approval. This was done in 13 accounts belonging to 11 customers without UBS having accepted the accounts as discretionary. Although the customers had given Niemann express or implied authority to exercise discretion in their accounts, none of the customers had provided written authorization for Niemann to exercise discretion. Furthermore, Niemann did not obtain written authorization from UBS to make trades in the accounts on a discretionary basis; indeed, UBS’s written supervisory procedures prohibited representatives from doing so. Mr. Niemann has been the subject of four prior customer disputes. This includes a $575,000 settlement to a customer concerning the sale of auction rate securities – though Niemann asserts he was not at fault for this loss and was not name in the ultimate suit. This level of complaint history likely means that UBS was required to give Niemann heightened supervision in his operations as a UBS broker. UBS should have detected the unauthorized transactions. This entry was posted in Uncategorized and tagged UBS, Unauthorized Transaction on March 12, 2019 by Jeff Pederson. John Burns of St. Charles, MO, and formerly of Ameriprise, UBS, Edward Jones and Sagepoint, submitted an agreement settling a regulatory suit in which he was assessed a deferred fine of and suspended from association with any FINRA member in any capacity for 14 months. Such regulatory actions rarely work to compensate injured investors and injured investors should speak to an attorney concerning their losses. If you believe that you have suffered losses, or believe the offer to settle your matter is too low, call 1-866-817-0201 for a free initial consultation with an attorney. Without admitting or denying the findings, Burns consented to the sanctions and to the entry of findings that he engaged in a pattern of unauthorized trading in customer accounts and made unsuitable, risky investments for a senior couple. The findings stated that Burns did not have written discretionary authority to place trades in any of these customer accounts. In some of the customer accounts, Burns executed the trades without any authorization, while in other customer accounts, Burns had some verbal authorization to exercise discretion generally, but exceeded that verbal authorization by executing trades in excess of the available funds in the account. The findings also stated that Burns made unsuitable and unauthorized investments over a twoyear period in the account of a senior retired couple, both of whom were over 65 years old. These transactions involved repeated high-risk investments in small drug company stocks which were unsuitable for the customers’ moderate risk tolerance and investment profile. The customers sustained losses in all but one of these investments in an aggregate amount exceeding $50,000. Burns has also been the subject of five lawsuits in recent years filed by investors concerning the mishandling of their accounts. This entry was posted in Uncategorized and tagged Ameriprise, arbitration, attorney, attorney representation, churning, class action, Colorado, Edward Jones, FINRA, fraud, Illinois, investigation, Kansas, Kansas City, lawyer, Missouri, securities fraud, St. Louis, UBS, unsuitable investments on January 27, 2017 by Jeff Pederson. If you are an investor with UBS suffering losses in investments made between 2011 and 2014 you may be entitled to a recovery. Please call 1-866-817-0201 for a free consultation. As reported by Rueters, UBS Group AG has agreed to pay more than $15 million to settle U.S. Securities and Exchange Commission (SEC) charges that its failure to properly train brokers led to customers buying hundreds of millions of dollars of unsuitable securities. The SEC said on Wednesday that UBS from 2011 to 2014 sold about $548 million of “reverse convertible notes,” derivatives tied to individual stocks, to more than 8,700 retail customers who were relatively inexperienced and unsophisticated. These notes, with mouthfuls of names as Trigger Phoenix Autocall Optimization Securities and Airbag Yield Optimization Securities, were sold to people of modest means, often with low risk tolerances, and included some retirees, the SEC said. “UBS dropped the ball,” SEC enforcement chief Andrew Ceresney said in a statement. Gregg Rosenberg, a UBS spokesman, in a statement said the Swiss bank was pleased to settle. It did not admit wrongdoing. UBS’s payout includes a $6 million civil fine, $8.23 million of improper gains and about $798,000 of interest. The case is part of a years-long crackdown by the SEC, the Financial Industry Regulatory Authority (FINRA) and other regulators to stop banks and brokerages from selling products that retail and even professional customers may not want, need or understand. According to the SEC, UBS’s notes were designed to offer attractive yields with a lessened risk of loss. But Ceresney said on a conference call that UBS’s training focused on describing the “potential upside” from the various products, not their volatility. This entry was posted in Uncategorized and tagged arbitration, attorney, attorney representation, California, class action, Colorado, derivatives, ETF, Exchange traded, financial adviser, financial advisor, FINRA, Florida, investigation, loss, Puerto Rico, SEC, securities fraud, stockbroker, Stockbroker fraud, Texas, UBS, UDF, unsuitable securities on September 29, 2016 by Jeff Pederson. Please Call 1-866-817-0201 for a free consultation is you suffered losses in the UBS Willow Fund. 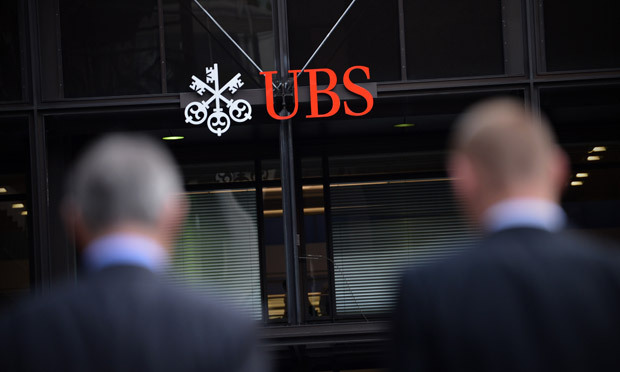 Two UBS subsidiaries agreed Monday, October 19, 2015, to pay $17.5 million to the Securities and Exchange Commission for failing to disclose that the UBS Willow Fund, a closed-end fund they advised, had changed its investment strategy to include risky credit default swaps. Part of investor losses in the UBS Willow Fund be recoverable from the SEC and there may likely be a significant claim against UBS for the lack of suitability of these investments recommended by UBS. The Willow Fund had a much greater risk than represented by UBS representatives. Of the total $17.5 million fine, $13 million will be returned to harmed investors. Currently, it is unknown what percentage of loss individual investors will recover. The SEC found that UBS Willow Management violated the antifraud provisions of the federal securities laws and failed to supervise UBS Willow Management, a failure that allowed the transition, and ultimate losses, to occur. According to the SEC’s order, UBS Willow Management, a joint venture between UBS Fund Advisor and an external portfolio manager, marketed the UBS Willow Fund of simply investing in distressed debt with a strategy simply reliant on the debt increasing in value. From 2000 through 2008, UBS Willow Management invested and marketed the fund’s assets consistent with the distressed debt strategy. However, this all changed in 2008 when the fund began to invest in ultra-high-risk credit default swaps. Marketing material for the fund misrepresented the risk to investors. Statements specifically misrepresented the exposure of the Fund to credit default swaps in the Fund. The misrepresentations continued on until the liquidation of the Fund in 2012. Investors in the fund should speak to an attorney. While the level of compensation each individual investor may receive from the SEC recovery fund is currently unknown, an attorney can navigate the recovery process through the SEC and help the investor decide if other legal avenues exist for recovery. We believe that other significant avenues for recovery exist. Call the number above for more details. This entry was posted in Uncategorized and tagged FINRA, MLP, SEC, UBS, unsuitable securities on October 20, 2015 by Jeff Pederson. If you have suffered losses in Puerto Rico funds invested through UBS please call toll-free 1-866-817-0201. As reported in Market Watch, the Financial Industry Regulatory Authority (FINRA) announced today that it has censured and fined UBS Financial Services Incorporated of Puerto Rico (UBS PR) $7.5 million for supervisory failures related to the suitability of transactions in Puerto Rican closed-end funds (CEF). In addition, FINRA ordered UBS to pay approximately $11 million in restitution to 165 customers who realized losses on their CEF positions. FINRA found that for more than four years, UBS failed to monitor the combination of leverage and concentration levels in customer accounts to ensure that the transactions were suitable given the customers’ risk objectives and profiles creating suitability violations. The firm failed to implement a reasonably designed system to identify and prevent unsuitable transactions in light of the unique Puerto Rican economy, in which retail customers typically maintained high levels of concentration in Puerto Rican assets and often used those highly concentrated accounts as collateral for cash loans. Despite UBS PR’s knowledge of these common practices, it failed to adequately monitor concentration and leverage levels to identify whether certain customers’ CEF transactions were suitable in light of the increased risks in their existing portfolio. In this case, UBS solicited certain customers to open lines of credit collateralized by their securities accounts. If the customer’s account value fell below the required collateral level, the customer received a “maintenance call” and was required to deposit additional assets or liquidate securities to meet the call. Where an LOC is collateralized by a diversified account, a customer may have a variety of securities that s/he can liquidate to meet a maintenance call. However, the risk of investor loss is increased when an LOC is collateralized by a highly concentrated account – and due to the unique benefits of Puerto Rican assets for Puerto Rican residents, UBS PR customer accounts were typically highly concentrated in CEF shares. The market events of Aug. 2013 caused the value of many CEF shares to plummet, and customers who received maintenance calls were forced to realize substantial losses in order to meet them. This entry was posted in Uncategorized and tagged UBS on September 30, 2015 by Jeff Pederson. If you are invested in a U.S. municipal bond mutual fund, odds are they’re exposed to Puerto Rico’s deteriorating financial situation. But because the slow-motion train wreck has been chugging along for several years, with the U.S. commonwealth’s government publicly stating its intention to not pay its bond debt, the weekend’s news that Puerto Rico defaulted on its debt wasn’t a surprise. This means the heightened risk of loss for municipal bond funds has been known for some time. Like most investments, those with higher risks pay higher commissions to the brokers that sell them. Recommending such municipal bond funds while failing to disclose this risk or to recommend such funds to someone who is trying to avoid risk is a form of fraud. Some municipal bond investments have led to broker misappropriation. That has been alleged in a customer arbitration suit concerning Merrill Lynch broker Christopher C. Hellman. FINRA, the Financial Industry Regulatory Authority, investigated the matter and Mr. Hellman failed to respond to the charge. You may be entitled to recovery of your losses if you have been recommended such funds. Please call 1-866-817-0201. This entry was posted in Uncategorized and tagged FINRA, Misappropriation, Puerto Rico, UBS on August 4, 2015 by Jeff Pederson.